Mississippi College’s sporting clay team shooters will soon showcase their talents at the national championships in Texas. Helping the MC student-athletes raise funds to make the journey to San Antonio will be a March 7 event at Providence Hill Farm. 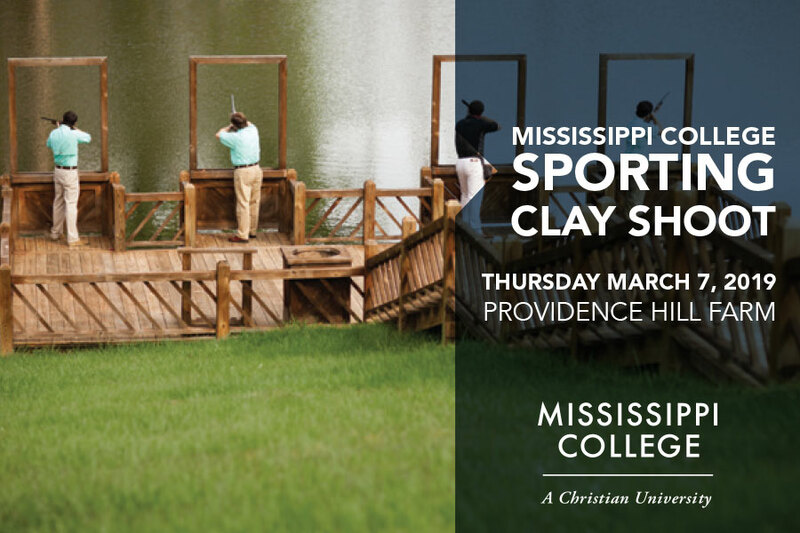 The 2019 MC Sporting Clay Shoot is booked at the scenic 2,000-acre Central Mississippi farm at 2600 Carsley Road. And the public is invited. The event “helps underwrite the costs associated with our students,” says MC administrator Jim Turcotte. The vice president for enrollment services and dean of students, Turcotte oversees the Christian university’s outdoor sports. That list includes: sporting clays, the equestrian team, bass fishing and archery. The Collegiate Clay Target Championships occurs in San Antonio every Spring. Last year, the Lindenwood University Lions of Missouri narrowly outshot the Texas A&M Aggies to win their 15th straight collegiate title. The event was held last April at the National Shooting Complex in San Antonio. Six students comprise the MC Choctaws sporting clays squad. They include: Drew Donahoe of Indianola, along with Madison residents Hughes L. Skinner and Logan Smith. Veronica J. White of Florence, Hayden Speed of Jackson and Justin Luke Grewe of Flora round out the team. The bulk of this year’s sporting clays team is enrolled in the School of Business. On the Clinton campus, Donahoe is studying business administration, while Skinner pursues studies in entrepreneurship. Smith is a marketing major and Speed studies finance. Grewe is an MC pre-nursing major, while White pursues a degree in biology/medical sciences. Five-man teams are encouraged to sign up at the 10th annual Sporting Clay Shoot. The cost to enter is $125 per shooter. The March 7 event begins with 11:30 a.m. registration and lunch. The competition starts at 1 p.m. Prizes will be awarded to top scorers. Located 20 minutes away from the Clinton campus, Providence Hill Farm serves as the headquarters for the Mississippi College team.